The MAF removal is pretty easy. Remove the lower air filter house. 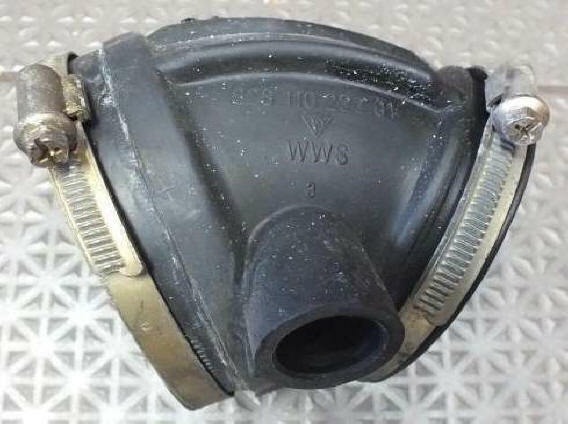 The MAF has a large hose clamp that holds it to the lower rubber elbow. Sometimes the clamp is not tight. But if it is tight you can use a long Philips screwdriver from the passenger side to undo that clamp. The long screwdriver fits just just over the cam cover. If the angle is not so lucky a small (7 or 8 mm?) socket fits the clamp. Best is to reach it from above, it is hard to get to. Next is lift it a bit (pull out from the elbow, and undo the connector.